Luxury Vacation At Sea On Yacht. 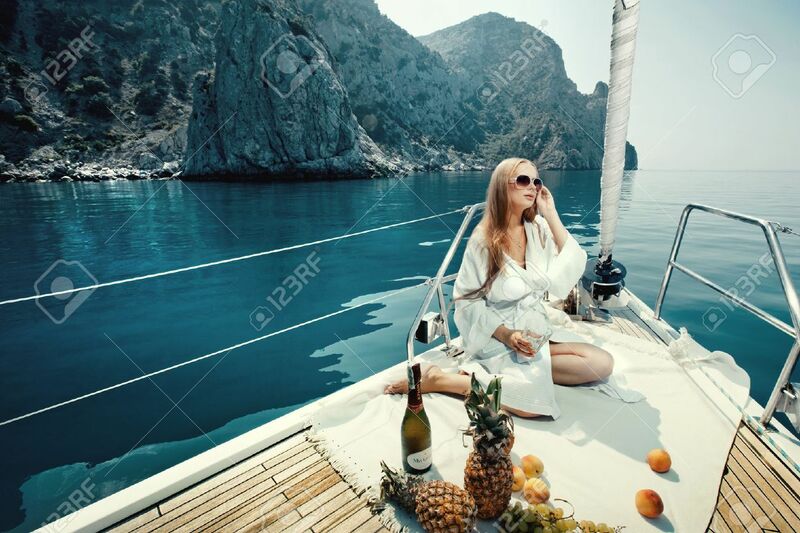 Beautiful Woman With Wine, Fruit And Mobile Phone On Boat 免版權照片，圖片，畫像及圖片庫. Image 44888371.